I’ve covered four best books for 2 year old boys last week, now it’s time for the girls! 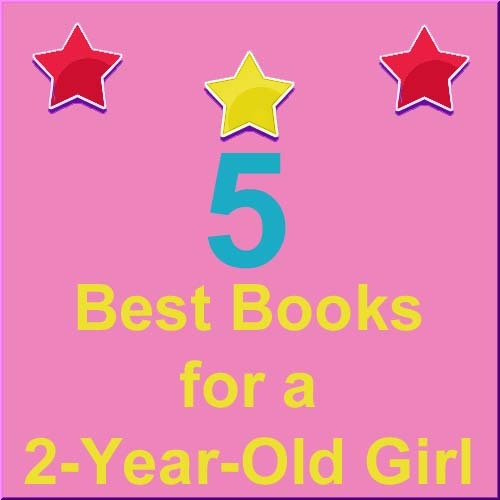 :) There are so many ideal books for a 2-year-old girl that come in various formats. You might want to start putting aside reading books for your toddler daughter when she’s about a year old, because two year olds are quite capable for reading short words in short sentences as long as the books are the easy to read kind. Let your toddler girl have her own collection of book for her to browse through on her own, so she could either model independent reading or actually be reading some of the words. In time to come, she’ll learn to recognize more of the words or be able to read through memorization. Either way, it’s helping her to develop an early interest in books and reading. And as parents, we would love to grow her love for both reading and books. Right below, I’ve listed some best children books for toddlers, and little girls will be thrilled by these book recommendations. Knock Knock Who’s There: My First Book Of Knock Knock Jokes by Tad Hills is a 22 pages hardcover book. It has short little jokes that will not only make your little girl laugh but has easy words for her to learn to read. The book is done in a pull the flap to get the punch line format, which makes it a great interactive book. Snoozers : 7 Short Short Bedtime Stories for Lively Little Kids is a collection of seven different bedtime stories by author Sandra Boynton. This 18 pages book has colorful tabs which can act as guide tabs to let your child pick the story she wants to hear. By the time she’s familiar with the book’s layout, she’ll be able to quickly choose the tab of the story that’s her favorite. One of the stories is about a group of animals that sleep everywhere during the day, but when it’s time for bed, forget it. The story also has moments where a parent can interject a quick saying that relates to the story. This engaging book will become an anytime favorite for your child. Happy Hippo, Angry Duck: A Book of Moods (Boynton on Board) is another great book for 2 year old girls that’s also by Sandra Boynton. In this 16-paged rhyming text board book, the story covers different moods given to animals. It’s an interactive book that’s not only funny, but extremely engaging to a 2-year-old. The book will help your child with words but will also teach her how to understand moods. My Very First Library by Eric Carle is a collection of books by the author. The books have an innovative format that allows kids to match items on the page. Your child will get a book of colors, shapes, numbers and words. These are all educational concepts that your child will be taught in preschool. But by teaching them to your child at 2 years of age, you can help your child to understand these concepts sooner. Head, Shoulders, Knees and Toes… by Annie Kubler is a wonderful book that a 2-year-old will enjoy having. The book teaches through nursery rhymes. By singing the steps in the book, your child will learn about sounds and speech that will help her learn how to read. My son has this book and he used to ask me to sing the little song to him over and over again, coupled with our fingers tapping on our corresponding body parts too. He couldn’t do the hand gestures that well when he’s 2, and now that he’s 3 he’s able to follow along pretty nicely. Besides these 5 toddler books, do you have any more to add to the list? Leave a comment below to share your toddler girl’s favorites!